9 April 2016 by . I great and welcome you on our home page, if you are connected to our website. In this video I would like to speak about my experiences with the humanities of other planets. This is a very current and hot topic, and from what can be seen and heard from the mass-media, there is no comprehensive information. The information is strongly fragmented and provides no overall picture. Therefore, with this video I want to give you an overall view beginning from my experiences, which I will briefly explain for those who may not know me. From my childhood on I have had extraordinary experiences. Through locutions and visions of Jesus, Our Lady, other instruments and especially the Archangels, who guided me during my life and explained to me many things among which also the ones regarding life in the universe. I wish to say that my experience is a Christian experience; I am Christian, practicing catholic, thus my experience is centred on Jesus Christ who, for me, is the Only Saviour, the only Mediator between God and men. It is very important that we set off from here, from the Most Holy Trinity, the Father, the Son and the Holy Spirit, who has been revealed to us by the coming of Jesus Christ on Earth, and Jesus Christ, the Second Person of the Most Holy Trinity, has revealed to us the true and only God. I am a person consecrated to God; through the Immaculate Heart of Mary I have given my life to God; I am not a religious sister, as many think. I am a person who has consecrated herself to Jesus in the simplicity of everyday life. I have put my whole life in His hands and at His service. This is important for me. My experiences about life in the universe began in 1984 when some men and women of a humanity from the constellation of Alpha Centauri began to appear to me in vision. I must tell you that I am neither a theologian nor an ufologist; this is important because from this point of view some of the terms I am using may not be correct; therefore I ask you accept that I use a simple language to make myself understood. However, in 1984 these brothers and sisters coming from a planet of the constellation of Alpha Centauri appeared; they introduced themselves as coming from Alpha Centauri explaining that the name of their planet is particularly difficult for us to remember and pronounce; therefore, to make it easier we will speak about Alpha Centauri knowing though that it is a constellation. They appeared to me as brothers and sisters and explained to me a few general things about life in the universe saying that we are all children of God, all created in the image and likeness of God, that Jesus Christ came to Earth to save humanity but in favour of all. Thus, the redemption, Jesus’ sacrifice, is valid for the entire universe. These experiences matured in me along with my human and spiritual growth since I had to walk a path, a path of holiness. Let me make it clear: I do not mean holiness in the sense of a halo, something … no: it is a holiness that is meant for all Christians; a holy life according to the laws of God, according to the Gospel. This is what God asked me; He asked me to be faithful to Him and to His Gospel, and in this way I moved forward. My experiences widened in different aspects of the divine life and the life of humanity. Thus, my experiences with the humanities of other planets have slowly grown, matured and widened. Heaven and those of the Earth; St. Paul speaks about this in the letter to the Ephesians, chapter 1. What does that mean? It means that the whole created reality must be taken back to Jesus Christ so that Jesus Christ takes it to the only God; Jesus Christ as the Only Mediator between God and men. What are we all entitled to? What is humanity and creation entitled to? We are entitled to be recapitulated in Christ, to let ourselves be united with Christ in order to enter fully into salvation, in the living relationship with the living God and thus be recapitulated, taken back, to the original purity. Thus, you understand that the experiences with men and women of other planets are not for their own sake but fit fully into this frame. These men and women are, like us, part of one and the same humanity created by God that will have to return to be ONE in the whole universe: one people that is the people of God, the only One and Triune God. Now, after this introduction, I will begin with the explanations that I have received. I will simply report what I have received without adding or taking away anything. You will judge them freely and consciously and you will certainly be able to discern. I will only give you the information in the way I have received it. I do not want to convince you, and I do not want to proselytise or highlight my person. I do it because I believe it will help you, help you to gain a view of the life in the universe in which you too can find your place in a more correct way and, as you also open up to a wider vision, will make your faith more alive and give you hope, as it has happened to me personally and to many others. I will begin with the experiences by starting off from a fundamental point, though; we have to go a step far back; we have to go back to the moment when God created the universe. This is a fundamental and extremely important issue. First of all, God created the angels, the angels who are pure spirits, incorporeal, very powerful, intelligent beings, full of light. These incorporeal beings, the angels, were designed to collaborate with us; God had already in mind to create man so that angels and men would work together to bring to fulfilment the work of God in creation. Thus, God, created the angels and among them Lucifer, who had an important position, was the most powerful of all angels as the bringer of light as his name says. The angels lived in this beautiful, harmonious, limpid, pure, uncontaminated dimension, and in this dimension also man should have been placed with all the tangible reality: us, the world, the universe: paradise, or how you may want to call it, where men and angels would have been living together. What happened? It happened that Lucifer, this very powerful angel, wanted something for himself; he wanted to be greater than God; he wanted to be at the centre of all attention and of the whole creation, and he could not bear the fact that God wanted to create man. God had manifested to the angels His intention to create man. This was what Lucifer did not tolerate because man would have undermined his primacy; he would have been a creature inferior to man with whom he would have had to collaborate. At this point Lucifer openly rebelled against God and with him many other angels who followed him. This rebellion caused a great problem to creation; it caused a real catastrophe. The angels were divided: Lucifer was at the head of the rebellious angels; St. Michael the Archangel, another very powerful angel, became the leader of the angels who remained faithful to God. A terrible battle broke out. The faithful angels won the battle and Lucifer, together with his legions, was pushed out of that pure, uncontaminated dimension of pure spirit, but we will look at that later on. In the meantime God created man, but what had happened next? God was no more the Only One in the universe, in creation, there was also evil because Lucifer had conceived evil in himself through his rebellion: the betrayal, the rebellion against God which brought the consequences that we can also see in our time. Man had to choose on which side he wanted to be; man had to make his choice in the same way as the angels. Yet, God did not create only one man and one woman. We know from the Bible about Adam and Eve; in reality God created a group of one humanity, different couples, in order to populate the planned dimension, which was the dimension we now call Eden, heaven on earth, that is, a place that was uncontaminated by evil. However, here the humanity was divided. One part decided to remain faithful to God and serve His laws faithfully, to help and collaborate with the angels to make creation develop further in the name of God. Another part of humanity remained undecided, not rebellious but fearful, unable to join one side or the other. Another part, unfortunately the major part, rebelled openly against God; it rebelled against God allowing Lucifer to deceive it by promising those progenitors honours, glory, power, to make them like God, to let them rule over the universe. A part of humanity went even further; not only did it rebel against God but also made an alliance with Lucifer and the demons: I give you my life and in exchange you give me power and together we dominate the universe. Thus, it was, in fact, a kind of collaboration between demons and men in the way it should have been between angels and men. At this point, given the choices of humanity, God had to seek an emergency solution; He had to place a barrier between good and bad, between the spirit and the pure, uncontaminated dimension and the dimension in which men, also corrupt ones, live. 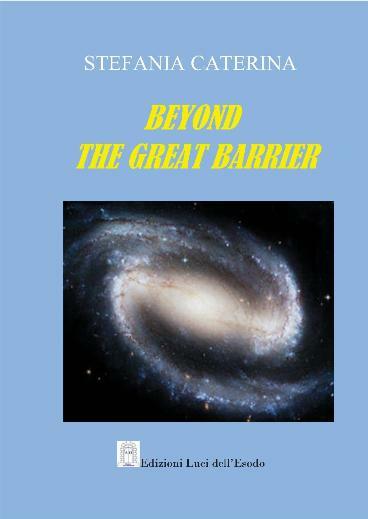 God established the Great Barrier of Heaven which still separates the dimension of the pure spirit, where the angels, the saints live, the blessed and the souls in purgatory live, and the dimension which is below the Great Barrier, that is, the material, physical dimension where the planets are and men live. God reshaped creation. He had to do it because of the choices of humanity; thus, God created three clearly different universes out of the original creation or universe: a high universe, which is the closest to the dimension of pure spirit and thus to the Great Barrier of Heaven, where the humanities live who remained faithful to God; a middle universe where the undecided humanities have been placed; the low universe, where also Earth is. This universe is the furthest universe from the Great Barrier of light, and there matter prevails over spirit as men have chosen to rebel against God; thus, it is a much more distant dimension from God than the other two universes. Nevertheless, before God placed the humanities in the different universes, He made all of them a great promise: the promise of the Saviour. 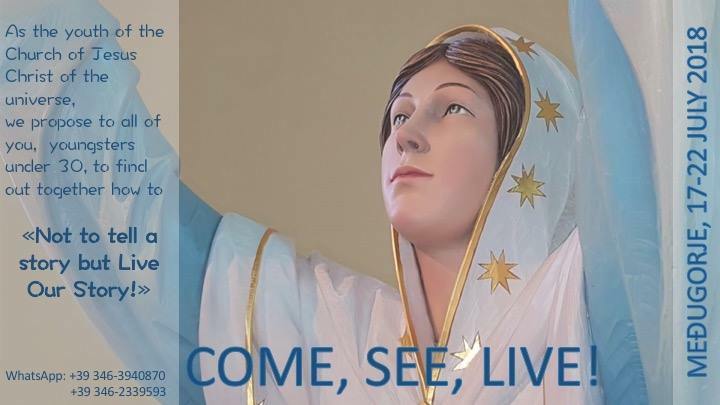 He promised that a Saviour would come and be incarnated through a woman of the Earth – the most rebellious planet, the most hostile to God – in order to lead humanity back to its original purity; to lead humanity back to a living relationship with God. From that time on, the humanities have begun their path, each in their respective universe. The faithful humanities have continued to collaborate with the angels; submitted to the divine laws they have contributed with their work to rule the universe. God has used them for many missions also outside of their universe because of their good knowledge of the laws of creation and the laws that rule the universe. This enables them to move easily in all three universes. Then, the undecided humanities have continued their path in the middle universe being basically indifferent to both Lucifer and God; closed up in their own world they were focusing totally on protecting themselves. The low universe went through a much more troubled time; yet, God set a limit to the excessive power of Lucifer also there, but how? By setting the planet situated in the constellation of Alpha Centauri in this universe; in other words, He placed a faithful humanity, which was designed to be in the high universe, in the low universe, and these brothers accepted to live in such a hostile universe to balance out to action of Lucifer and to help the weaker humanities. In the same way, God placed the planet Rael in the low universe, which is located in the constellation of the Lion, and which should have been in the middle universe. In the plan of God this undecided humanity could have supported these weaker and more rebellious humanities. Let’s look at our Earth now; what happened to Earth? After original sin, after being expelled from Paradise – the Garden of Eden, so that you understand – planet Earth was shattered by many cataclysms, tragedies and disasters, and man was in no better situation as he had regressed, profoundly regressed, almost to the level of an animal. At this point, other humanities began to visit this planet to help our poor humanity to get over the shock caused by original sin, but this is another story, and we will deal with it in the second part. Thank you and good bye for now.